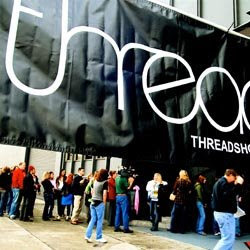 Thread Trade Show is an independent show and one of the only trade shows that is open to the public. They hold shows in the UK, LA, Vegas, Seattle and SF. They pick 80 brands to also sell directly to the public, so if you have time check it out. It’ll be held at the SF Design Center Sunday April 20th. Check out the Thread website for more info.